On 22 February, the Sustainable Development Council, attached to the Office of the High Commissioner for the 2030 Agenda (Ministry of Presidency), was created to be an advisory body and a channel for the participation of civil society for the fulfilment of the Sustainable Development Objectives and the 2030 Agenda. This Council is composed of 48 members from representative organizations of the Spanish society with the purpose of being a channel for its participation in the process of the 2030 Agenda’s implementation. The Global Compact Spanish Network will participate with a representative, within the section of business organisations and trade unions. The Presidency will correspond to the High Commissioner for Agenda 2030 and the vice-presidency to a vocal representative of the group of platforms and citizen networks of the third sector chosen by voting among its members. Likewise, the Secretariat of the Council for Sustainable Development will correspond to the Director General of the Office of the High Commissioner for the 2030 Agenda. Since the adoption of the 2030 Agenda in 2015, the Global Compact has the mandate of the United Nations to raise awareness and bring the Sustainable Development Goals closer to the private sector. For this reason, the Spanish Network has made an outstanding contribution to analysing and disseminating the Agenda and its Objectives in Spain. "The fact of the High Commissioner for the 2030 Agenda has trusted us to participate in the Council on Sustainable Development, reaffirms us and encourages us to continue in this direction" claims Cristina Sanchez, acting executive director of the Spanish Global Compact Network, which celebrates the creation of this new body that "without a doubt, will allow generate very necessary work in alliances for the fulfilment of the SDGs. 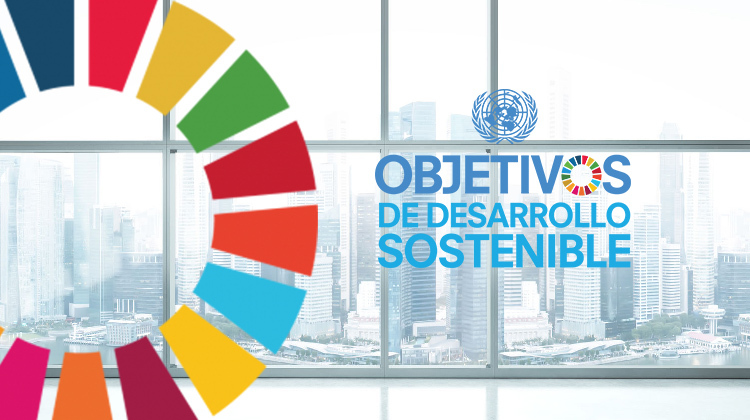 Its functions include: advising the High Commissioner for the 2030 Agenda on the preparation and implementation of the plans and strategies needed to comply with the 2030 Agenda; to generate documents and analyses on aspects of the implementation for the achievement of the SDGs; to contribute to the dissemination and communication of the 2030 Agenda to all Spanish citizens and to promote dialogue between all social, economic and cultural agents in order to contribute to the achievement of the SDGs. The Council for Sustainable Development was presented on Tuesday 26 February in an event attended by the President of the Spanish Government, Pedro Sánchez, the Deputy Secretary-General of the United Nations, Ms. Amina Mohammed, and the High Commissioner for Agenda 2030, Cristina Gallach. In the public event, the Spanish Global Compact Network was represented by its President, Ángel Pes.